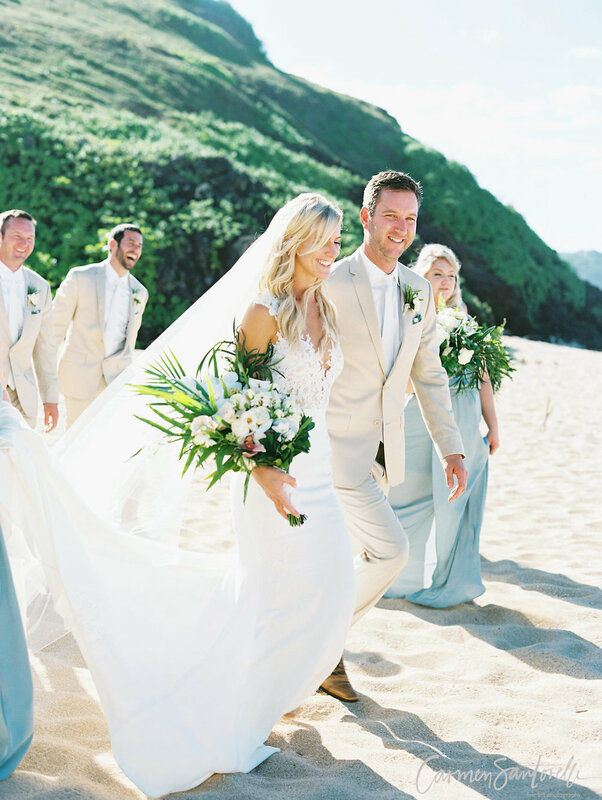 Sara and John’s wedding day is one that we’ll never forget! Sara and John were fantastic to work with. Together as a team they were involved with the planning from day one. Their wedding day was a true reflection of the two of them and their relationship. 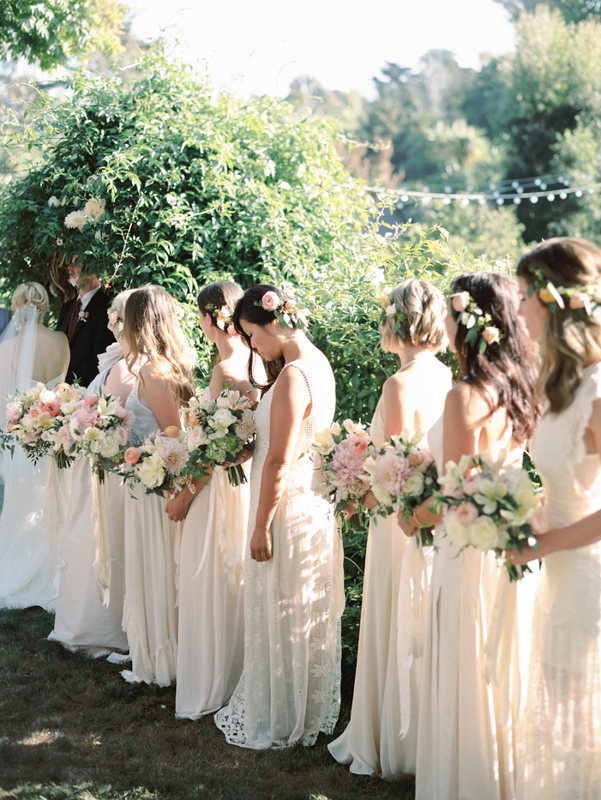 We all had a complete blast designing and planning their dream wedding together. Take a peek below, it’s beautiful! 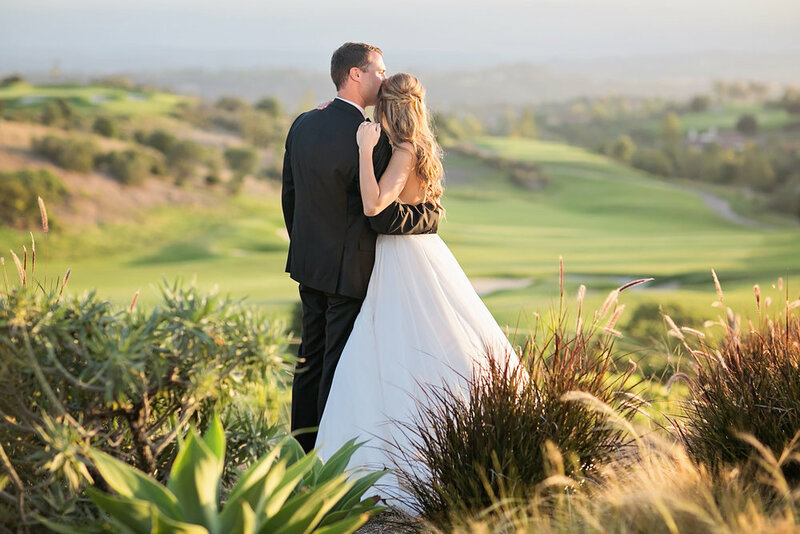 Sara’s cinderella gown and Johns bowtie suit were perfectly paired with one another and added the perfect touch to their intimate formal affair. The bridesmaids were dressed in blushing pink gowns accented with pretty bouquets created by the oh so talented Blush Botanicals. 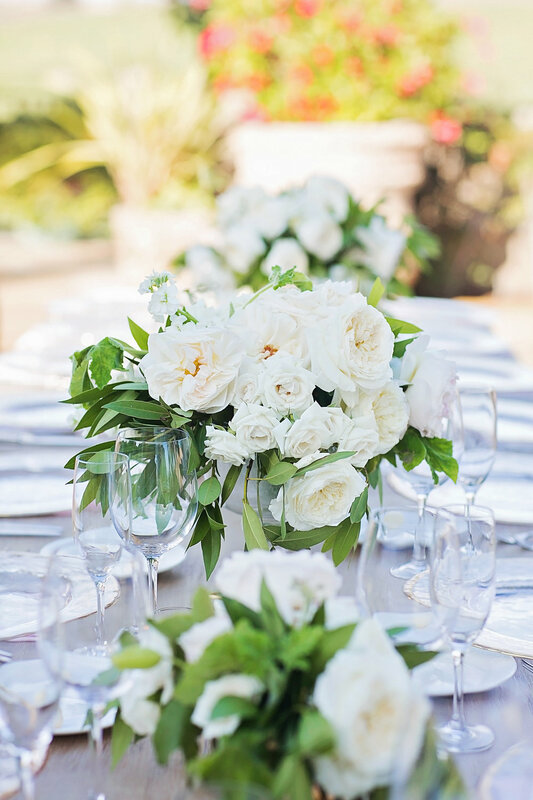 The bouquets were perfectly constructed with white, ivory and light pink blooms including minimal hints greenery for a subtle up-close pop. 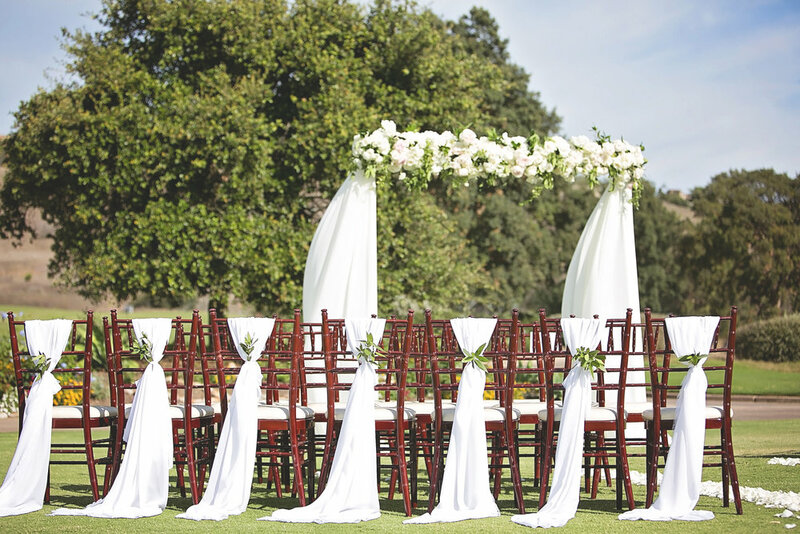 You can’t beat a perfect wedding fit for any size at the Santaluz Club (one of our most favorite venues in San Diego). 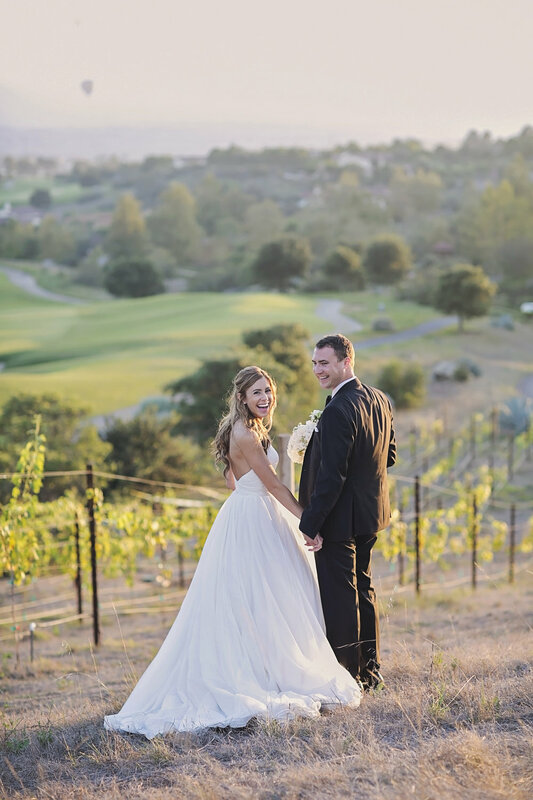 With views of the growing vineyard, to the reception set up in the blooming courtyard, to a small and simple ceremony this wedding was unique and an amazing time for all friends and family members in attendance. 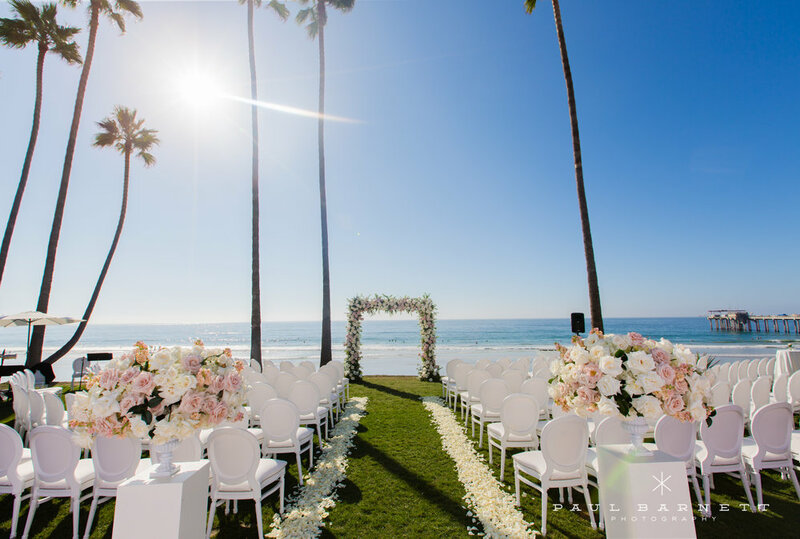 The ceremony was truly romantic with white rose petals lining the aisle leading to a beautiful arbor with flowing white drapes topped with gorgeous white roses. 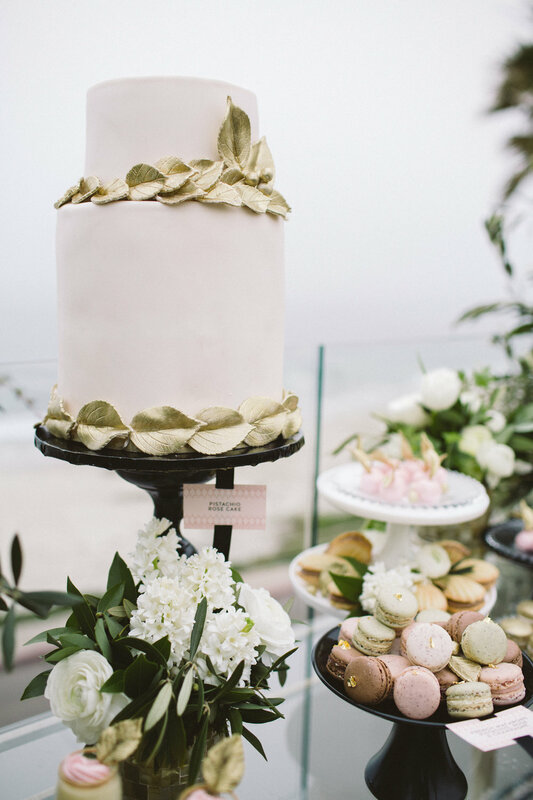 With a soft palette of ivory, grays and baby pink the decor and color combinations were loved on so many levels. 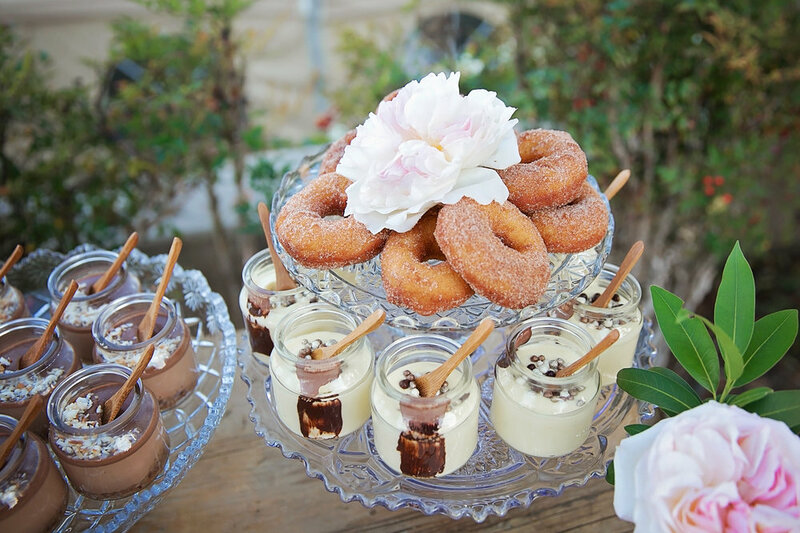 We did not skip a beat with this intimate reception set up. 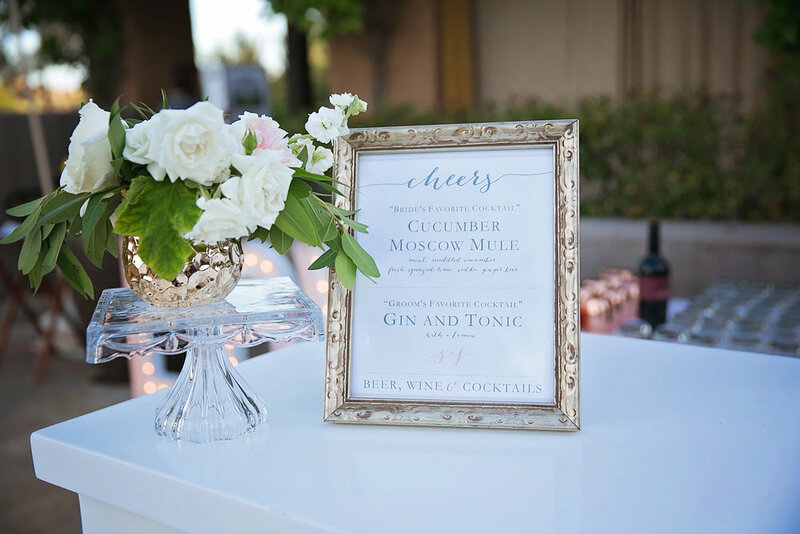 Guests arrived in the garden courtyard only to see a romantic and cozy setting with a twinkle light open air tent fitted with weathered wood dining tables and natural linen chairs for all. Each guest found their seat by spotting their names written in gorgeous calligraphy that were placed underneath the gold rimmed glass chargers. 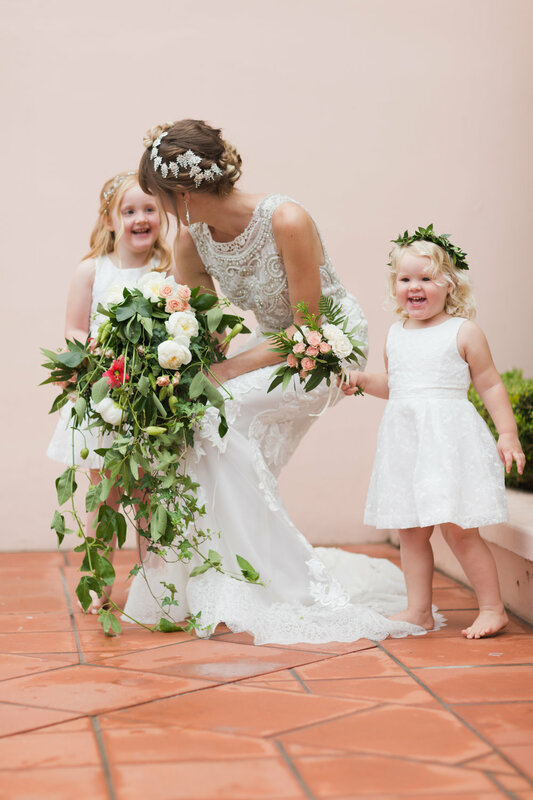 With sweet touches everywhere, this wedding was so special and romantic. All the best to Sara and John, congratulations you two!! !